This boat is LIKE NEW!! A great looking family weekender with a contemporary exterior and one of the most innovative interiors. This boat is loaded with custom features and it is like getting a new boat without the price tag! A boat you must see! 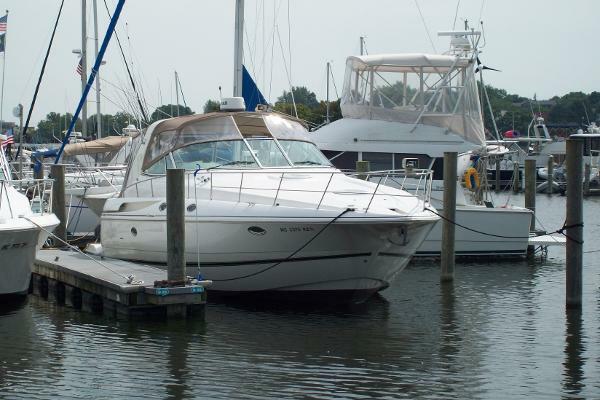 This clean, freshwater 3870 Cruisers Yachts has all the right equipment plus a list of upgrades . . . starting with the Bluewater 8.2L Merc engines that give this boat all the horsepower you’ll need for those long trips. 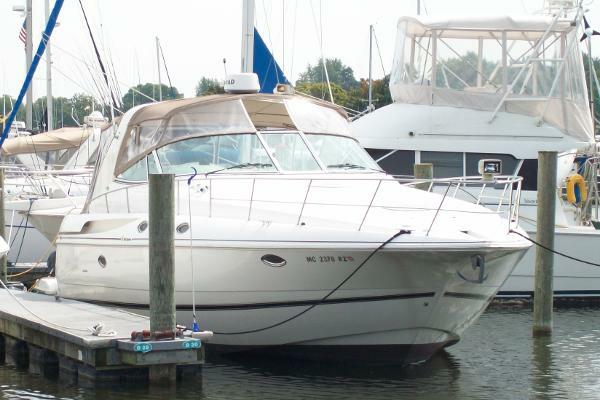 A Kohler 7.3 generator powers all the boat’s accessories when not docked. The cockpit and cabin interiors are well laid out and in nearly new condition with solid cherry wood doors and plenty of storage. There is a full service galley, forward and aft berths, two heads (main head features a walk-in shower stall). The cockpit includes a center staircase with walkthrough windshield for easy access to the bow’s topside. 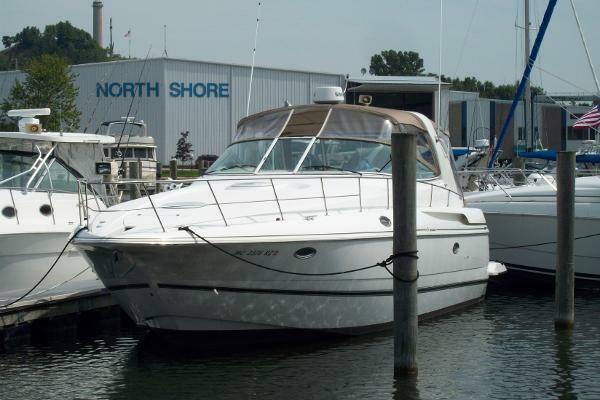 This boat has many new upgrades including, but not limited to: New full-size cabin refrigerator/freezer (2015) New Simrad Electronics (GPS, Radar, Autopilot) (2016) New Isinglass and screens (2016) New engine batteries (2017) New ice maker/refrigerator (2017) New fire extinguishers (2018) New Magma gas grill w/pedestal and carrying case (2018) The boat has been well maintained and always kept in heated inside storage during the winter months. The bottom has been painted annually with VC-17 Micron paint and is in excellent condition. Engine maintenance performed as scheduled including new water pump impellors (2018), a new generator impellor (2016), with oil and all filters changed annually.